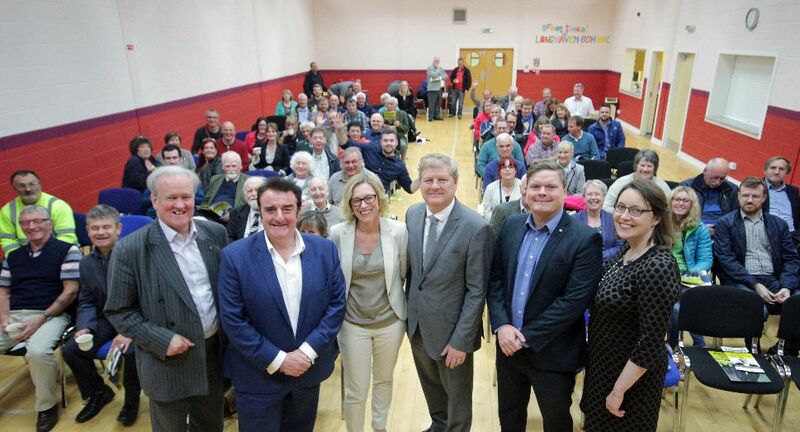 Buchan hosted the first hustings of the SNP’s depute leadership campaign on Wednesday (yesterday), at an event attended by three of the contest’s challengers. Angus Robertson MP, Tommy Shepherd MP and Cllr Chris McEleny were greeted by an audience of nearly a hundred local SNP members, who asked questions directly to the candidates. The fourth candidate, Alyn Smith MEP, was unable to attend due to prior commitments, however he did send a statement of intent to be read. The event at Longhaven Hall was chaired by Aberdeenshire East MSP Gillian Martin, and represented the opening debate in what is set to be a keenly contested campaign. “I was very proud to note that the very first hustings of the campaign was held in the North-east, and the event was an opportunity for the challengers to hear for themselves the opinions of local members and the challenges faced in Banff & Buchan.